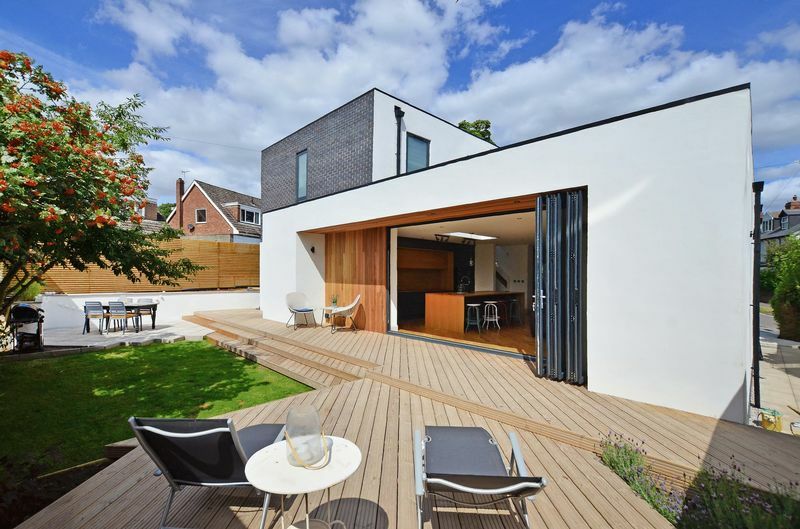 A stunning example of individual architecture designed by Lso Architects. 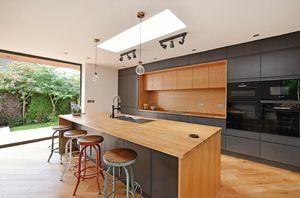 This detached house is constructed of black brickwork, render with cedar wood accents, it has a contemporary parapet design flat roof, which has a rubber roof membrane. 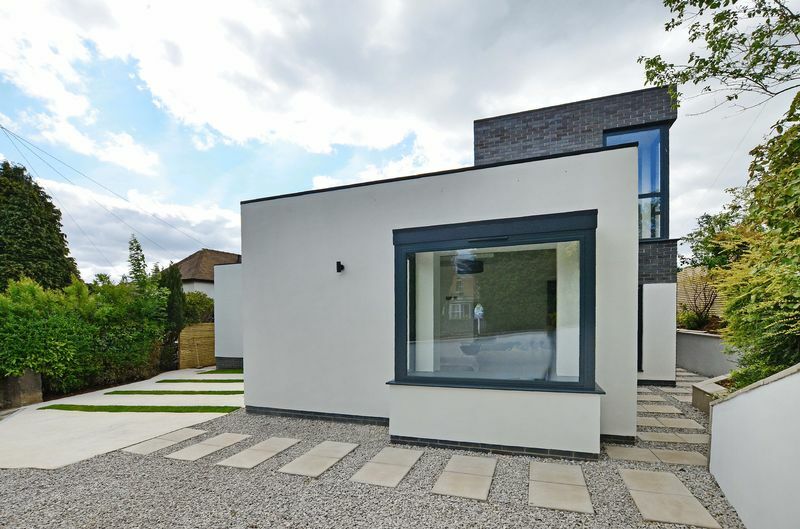 To complete the scheme there are anthracite full height powder coated aluminium windows and doors. Internally the contemporary design theme continues with many bespoke features, the open plan living, dining and kitchen forming the main hub of the property, engineered oak flooring with underfloor heating, bi-fold doors leading to the sunny aspect decked terrace gardens bringing the outside in, dual aspect living room, utility room, 4 double bedrooms all with tall anthracite radiators, downlighters and feature bedside lighting, 3 state of the art bathrooms, superb gardens providing excellent entertaining areas, landscaped front gardens with feature concrete and grass driveway, with mature trees providing privacy. 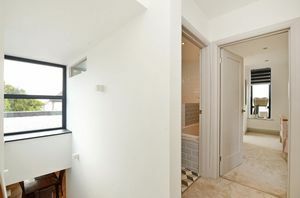 The accommodation comprises: Generous entrance hallway. WC in white. Living room with dual aspect, feature backlit ceiling panel and glass bay window seat with storage. 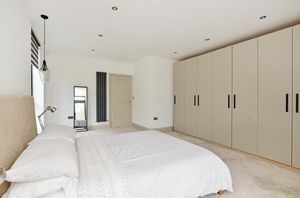 Extremely generous living, dining and kitchen space with a beautiful bespoke kitchen having a range of anthracite and oak units, built-in Bosch appliances including microwave 1 double and 1 single oven, central island with inset power sockets providing a Bluetooth speaker and mobile phone charging points, inset sink, integrated dishwasher, integrated built in larder fridge and freezer, breakfast bar and rectangular sky light above. 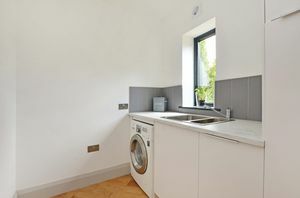 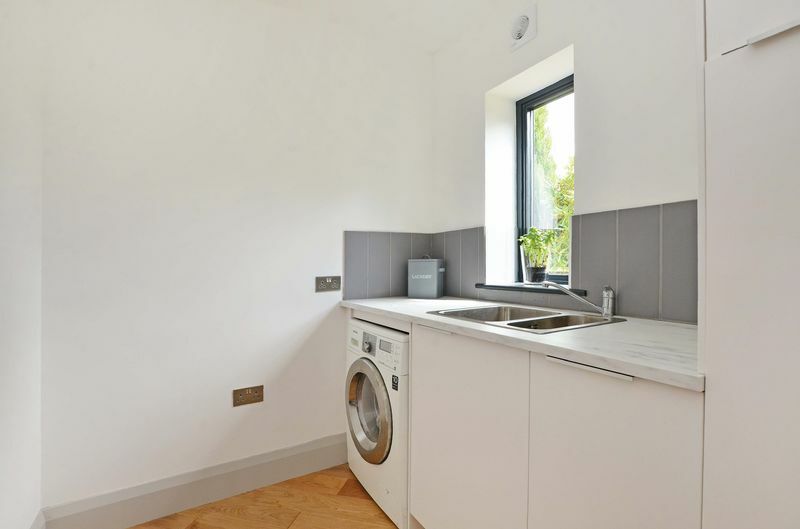 Utility room with white units housing the combination boiler and underfloor heating manifold. 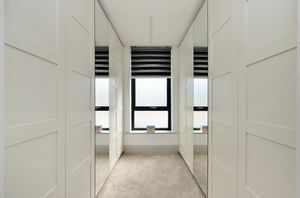 Inner hallway with storage cupboard. 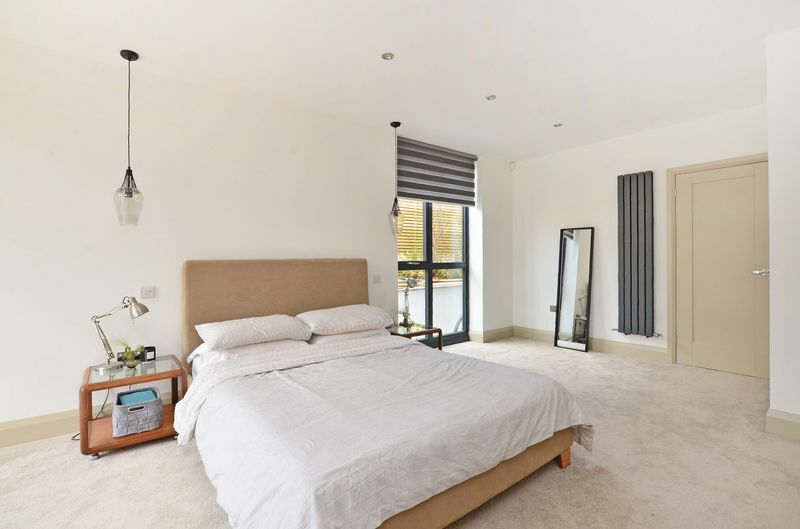 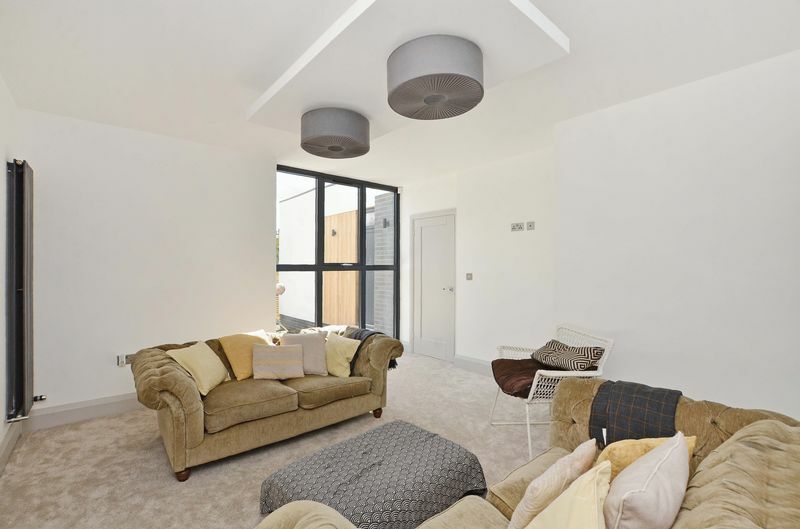 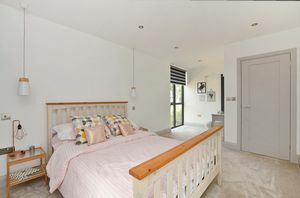 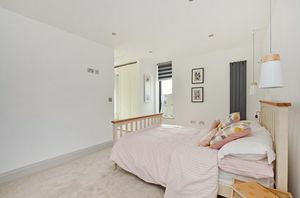 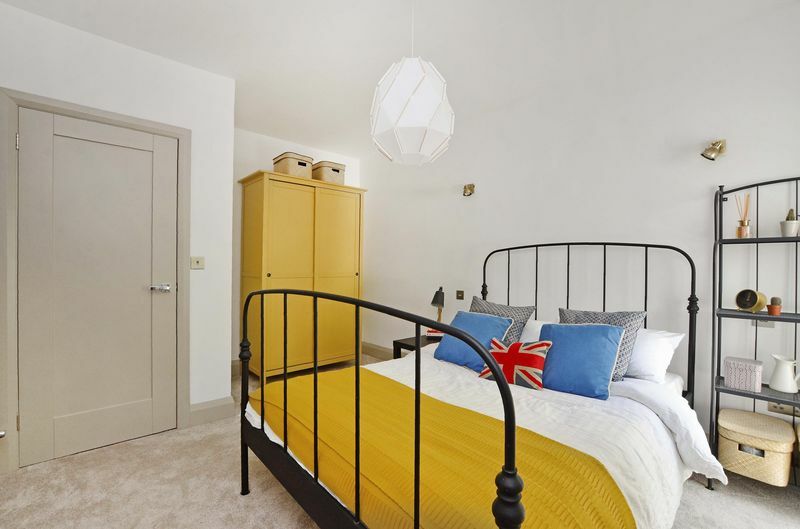 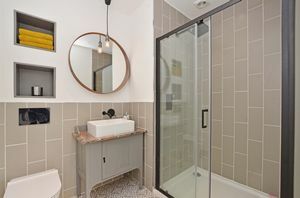 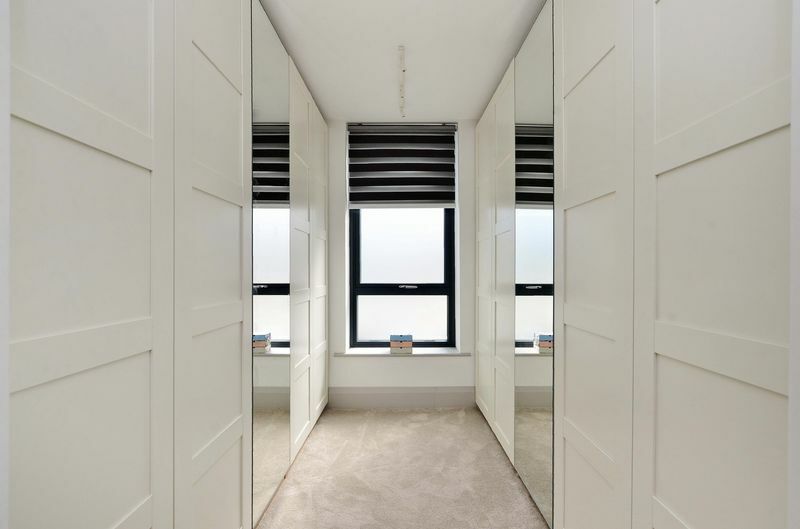 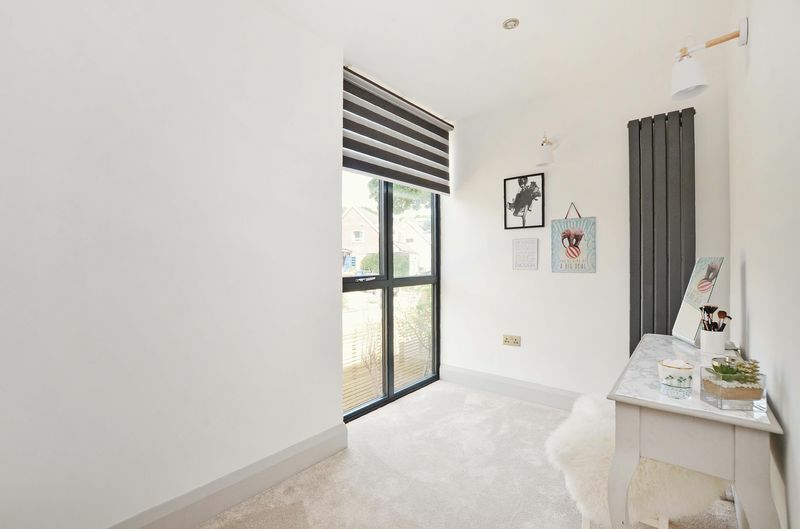 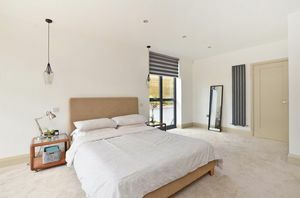 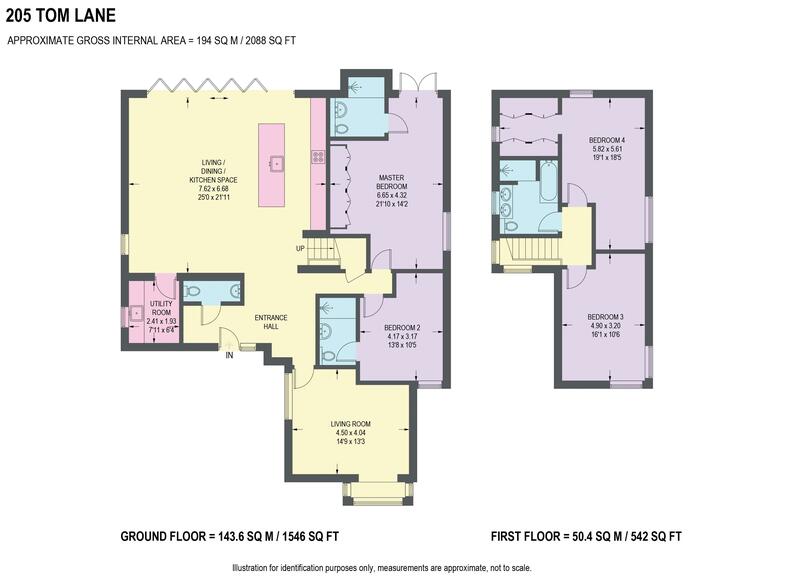 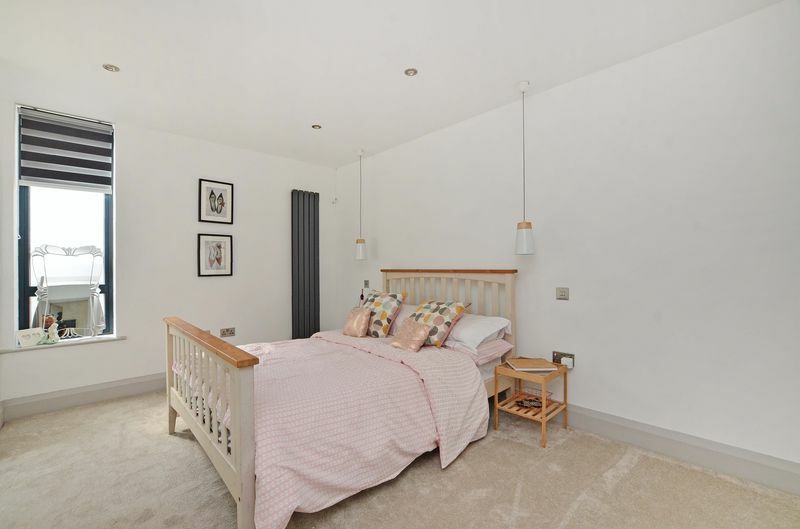 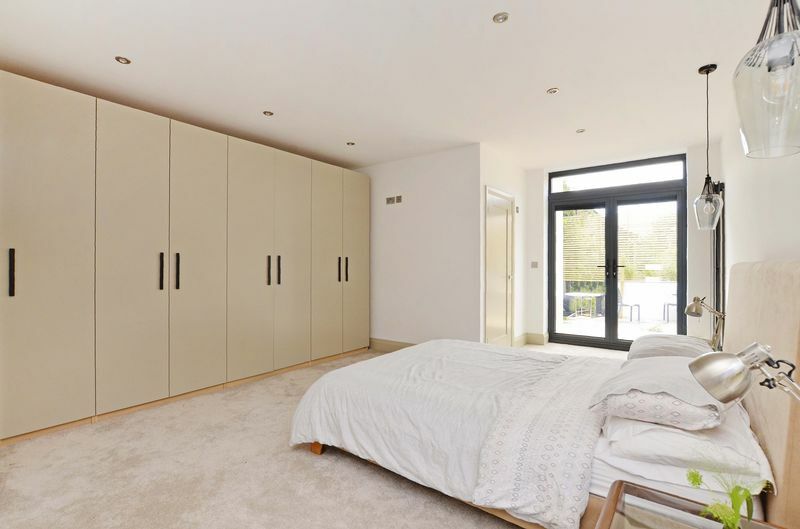 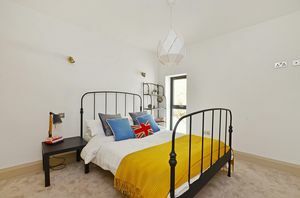 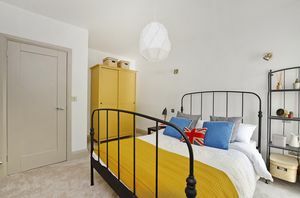 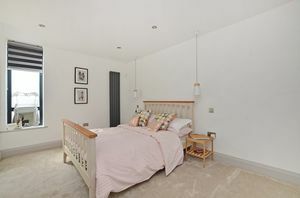 The Master bedroom has fitted wardrobes, dual aspect and double doors to the rear garden, en-suite shower room having a white suite, double shower cubicle and wash stand with marble top. 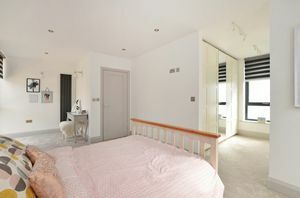 Front facing bedroom 2 with en-suite shower room with double cubicle and vanity unit. 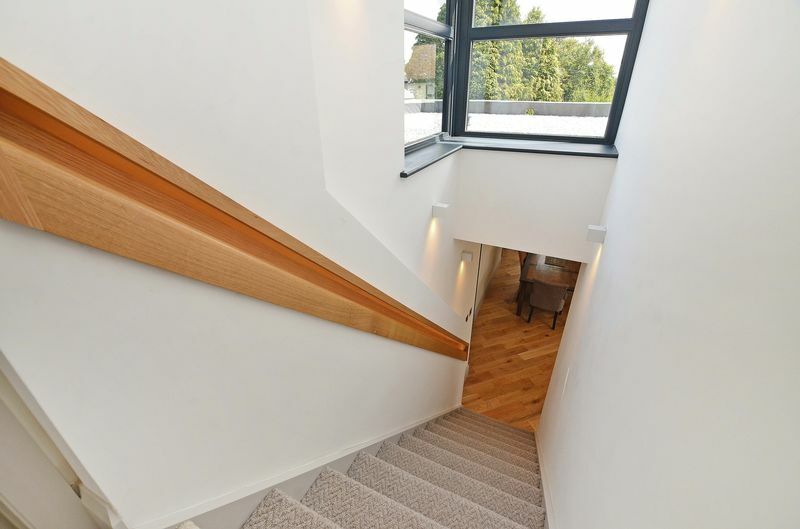 Staircase with bespoke backlit oak recessed handrail to the landing with corner window and lovely views. 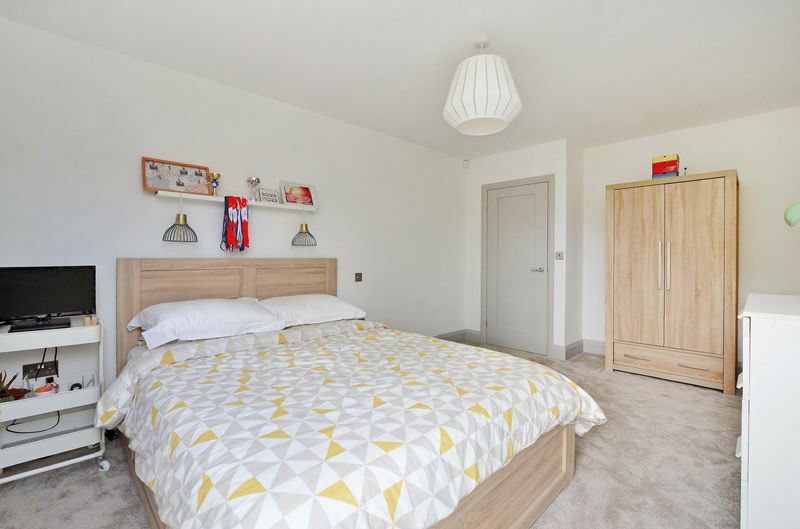 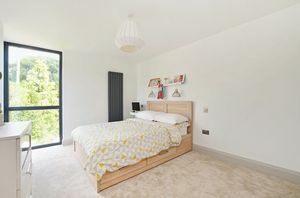 The most generous Bedroom 3 has triple aspect windows and features a dressing room with fitted wardrobes, bedroom 4 has a feature corner window, with superb views up Tom Lane. 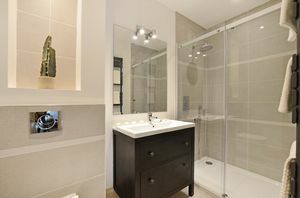 The family bathroom having a white suite with a bath and large separate shower, features vanity unit with oak top and his and hers wash basins. 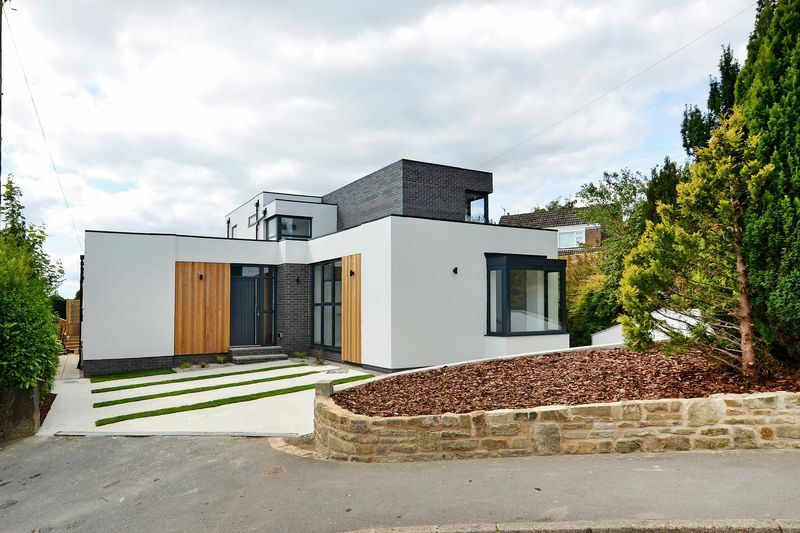 To the front of the property is a curved stone wall with pebbled area, established conifers and bushes, concrete and grass driveway and pebbled areas with grasses to either side of the main entrance. 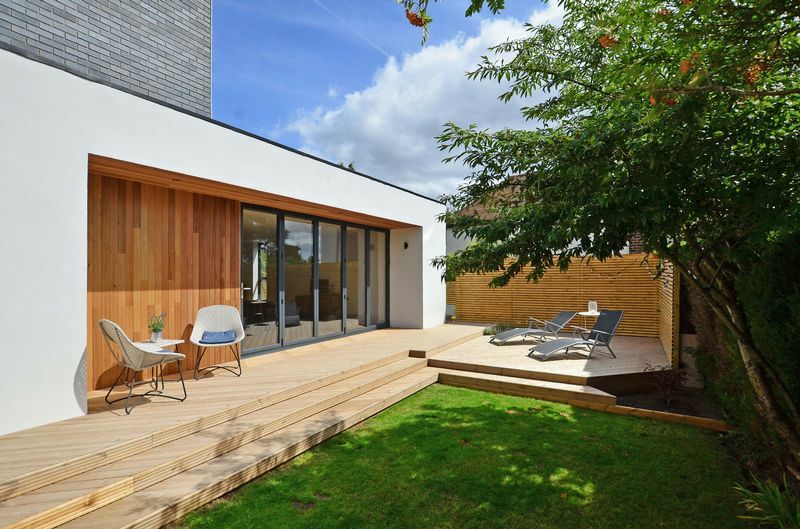 Two side pathways, one leading to a timber shed and bin storage area. 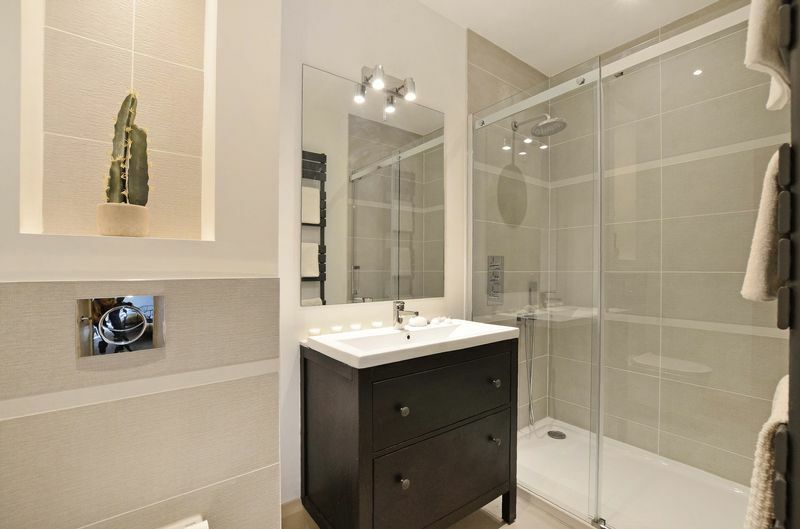 There are water taps and outdoor power points to the front and rear. 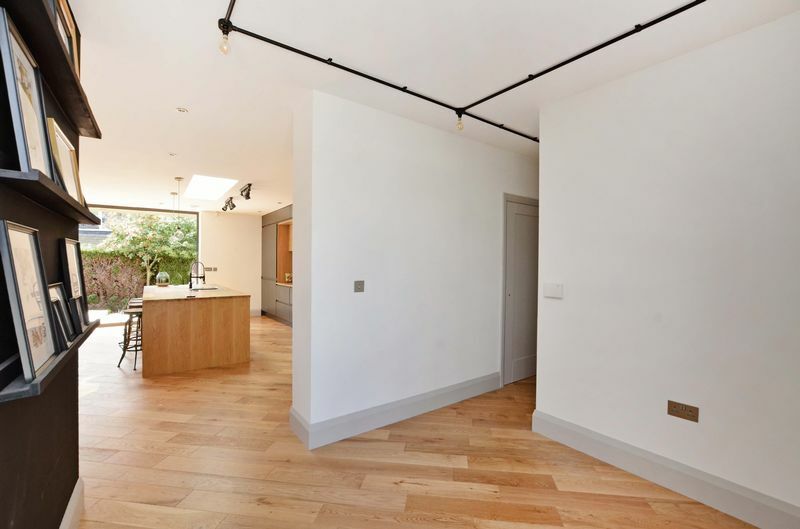 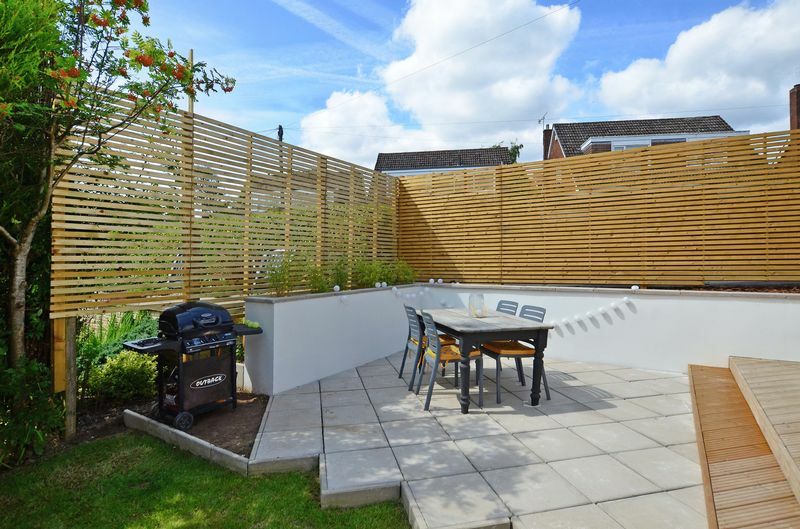 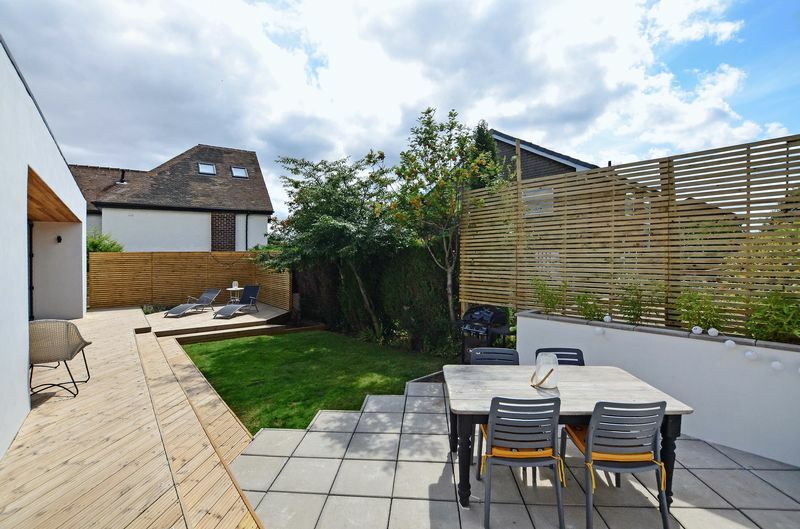 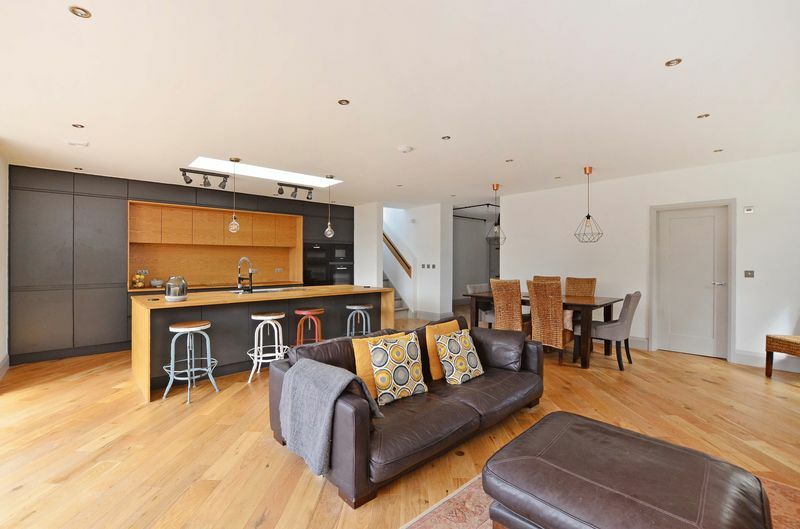 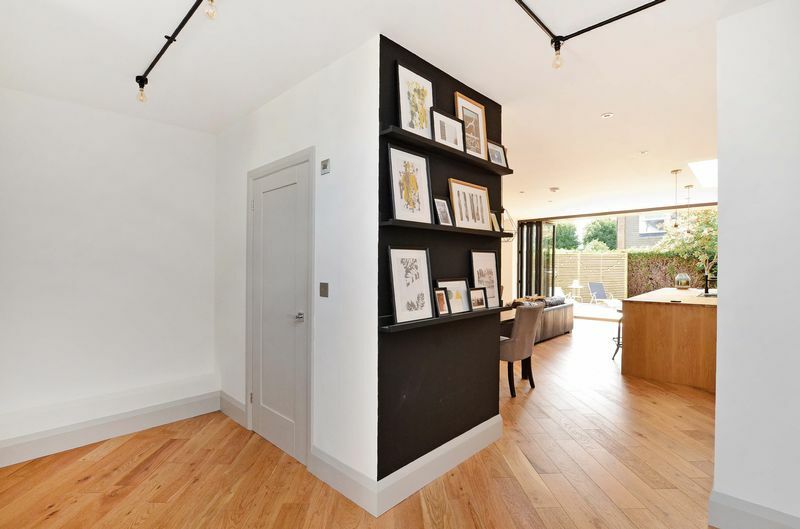 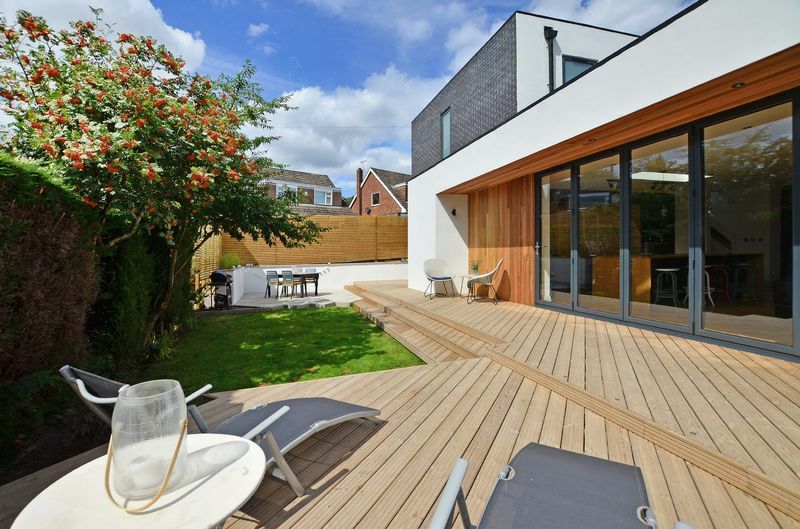 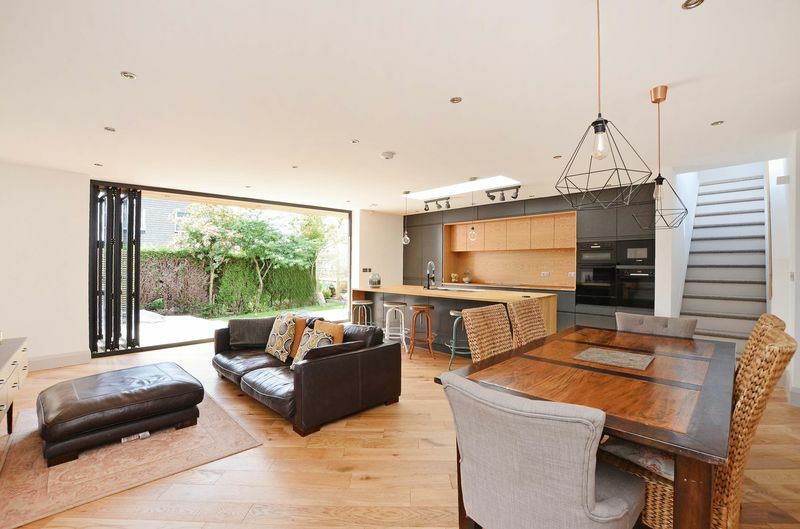 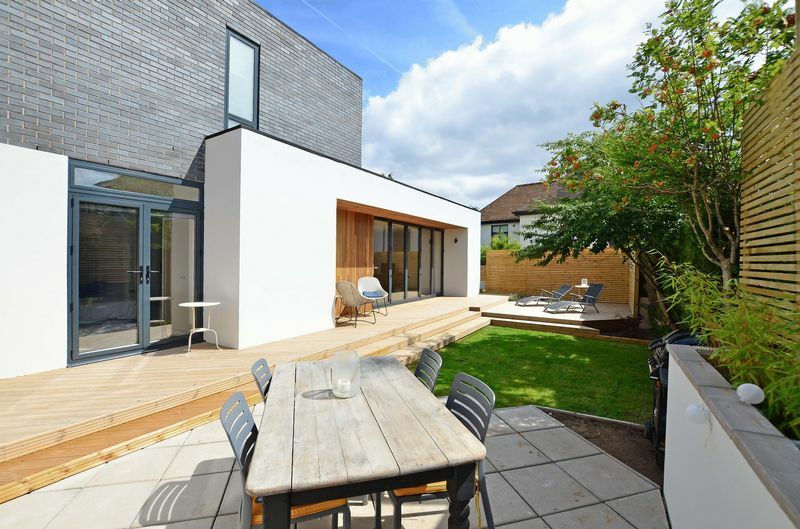 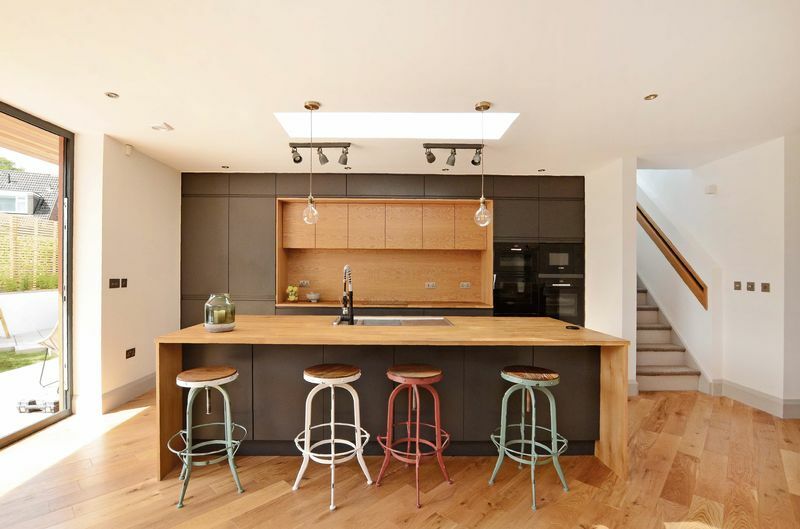 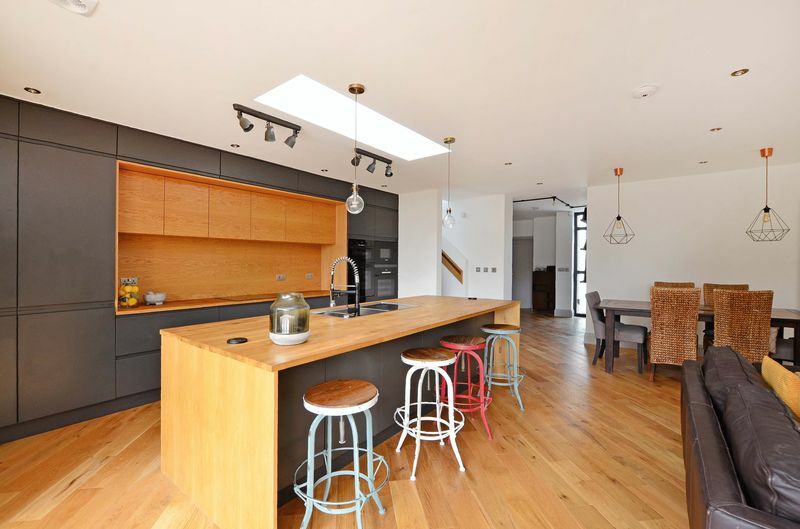 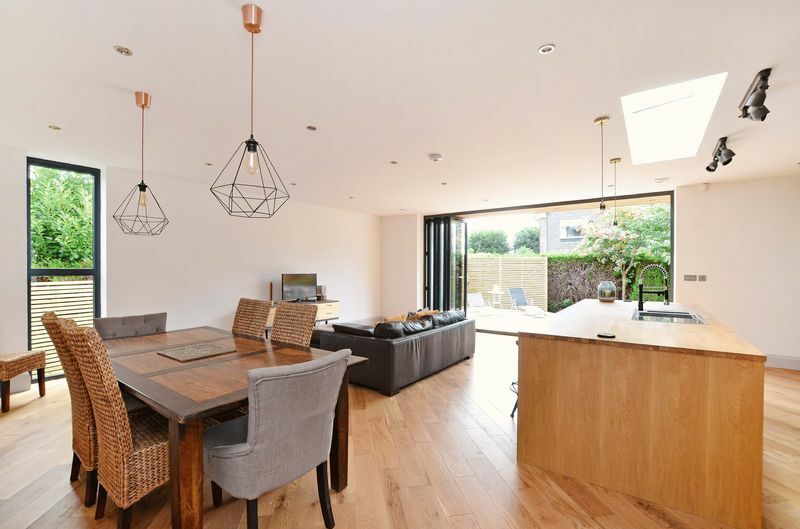 Rear full width decked terrace with lighting, lawn and flagged patio providing lots of scope for entertaining, enclosed by slim horizontal fencing. Tom Lane is well-placed for well-regarded state and private schools, shops and amenities, recreational facilities and access to the hospitals, universities, city centre and the Peak District.